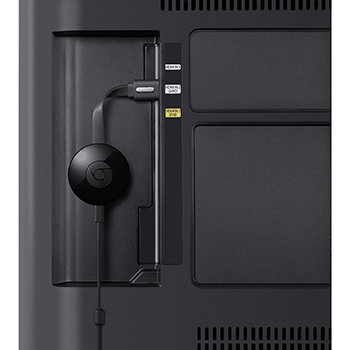 Google's Chromecast is one of the simplest streaming devices out there – until it's not. And when it comes to troubleshooting or getting more out of your Chromecast, the device's unique and hyper-simple nature can transform from an asset into an annoyance. That's why we're here with this set of Chromecast tips, which will help you with everything from setup to troubleshooting. Our selection of Chromecast tips is not exhaustive, but it is pretty lengthy, so we've organized things by sorting our suggestions into category. Below, you'll find Chromecast Tips for Brand-New Owners, Chromecast Tips for Troubleshooting, and Chromecast Tips for Power Users. Feel free to read through our tips in order or simply jump to the section you feel you need right now! If you've never used a Chromecast before, it can be a little confusing. The device is slim and simple, but that isn't necessarily a good thing when you have no idea how it works. So let's take a step back and go over Chromecast's basics, then dive into a set of Chromecast tips that's aimed specifically at first-time owners and those struggling with setup. The Chromecast works a little differently from other streaming devices. While competitors like Roku or Fire TV fill your screen with apps and options, the Chromecast does none of this. Instead, it waits patiently for you to select something to watch on another device. Then, with the tap of a button on that second device, you can sling your video up onto the big screen, courtesy of Chromecast. Chromecast needs access to a wireless network to do this, and you'll need that second device (connected to the same network) in order to provide your Chromecast with the stuff you actually want to watch. With that explanation out of the way, let's talk Chromecast tips! Get things set up right. Plug your Chromecast into an HDMI port on your TV. Select the right input on the TV (it'll be one of the HDMI inputs, of course). You'll need the Google Home app on your mobile device to set up your Chromecast, so go ahead and download that. Open the app and tap either Get Started or the big button with your device on it. Sign in or create a Google account if you haven't yet. You may have to give the app some location services permissions if yours are locked – you'll find that in your phone's settings, not within the app. Back in the Google Home app, tap your device (or just Next if only one device is found), then look at your TV screen. You should see your Chromecast displaying some numbers. If you do, hit Yes in the app. Choose your region if necessary, then give your device a label (Google wants you to use the room it's in as the label). Finally, set up the Wi-Fi: choose your network and enter the password in the app. Pick the right apps and enhancements. You have Google Home on your mobile device now, but don't forget about all of the Chromecast-supported apps that you want to use to stream! Now's the time to download Netflix, HBO Now, and the rest of your favorite streaming service apps. And keep your eye out for other good Chromecast-focused apps, too. AllCast is one great option. Simplify the power cord situation. If you have a modern TV, you may have a USB port in there somewhere. If that's the case, you can take the adapter off the end of your Chromecast's power cable and just plug that bad boy straight into your TV. Depending on how bad the tangle of cords and surge protectors behind your TV is, this could be the most helpful Chromecast tip you read today. Chromecast doesn't have its own interface or menus – all of that is in the Google Home app. That may keep things looking simple, but it can be frustrating when you run into a problem. Here are some Chromecast tips aimed at helping you troubleshoot your device's latest temper tantrum. 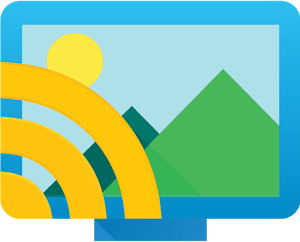 Can't find your Chromecast on your network? Start unplugging stuff (and then plug it all back in). It's the classic IT advice: turn it off, then turn it back on again. But a lot of the time, it works! Reboot your Chromecast and/or the device you're trying to cast from, then look again. Check your power supply. The Chromecast comes with a 5-volt power supply. That's how much power it needs, so don't go mixing and matching without checking. Five-volt adapters are common, but so are 9- and 12-volt adapters, among others, so don't just grab any old adapter you find in your house and plug it into your Chromecast. Check your Wi-Fi. One of the most common causes of Chromecast issues is a pretty silly one: devices that aren't on the same network. Maybe you turned your phone's Wi-Fi off and forgot to turn it on again, or maybe you have connected your Chromecast to the guest network. Double-check that, then double-check your Wi-Fi network itself: is your router working? Is the internet connected, so that your streaming device can get the video you want in the first place? Boost your Wi-Fi. When you're streaming to Chromecast on a Wi-Fi connected device, it's not just your internet speed that controls your experience. Your Wi-Fi router could be bottlenecking things, and if that's the case, there are a few things you can do to try to fix things. For one thing, of course, you could get a better router. But before you do that, you may want to try re-positioning your router and/or devices to cut down the distance between them. You could also could invest in one of the many Wi-Fi range extender devices on the market. You could even use one of the many DIY solutions that purport to give your router's Wi-Fi antenna a hand – most of them work reasonably well, though few of them are particularly aesthetically pleasing. Switch to a wired connection. You don't have to worry about your Wi-Fi if you're using a wired connection. Your Chromecast doesn't have an Ethernet jack on it, so it's Wi-Fi-only as it comes in the box. But you can buy Google's special power adapter with a built-in Ethernet jack, which will allow you to wire your Chromecast directly into your network. Whether or not you can connect your casting device in the same way will depend on the device (and your willingness to purchase and use adapters). Wired connections are faster than even the best Wi-Fi connections. For a tiny little device without much in the way of its own user interface, the Chromecast can be a surprisingly versatile thing. 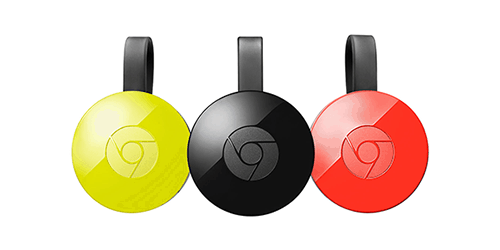 Here are some Chromecast tips and tricks for those who are looking to get just a little bit more out of Google's streaming dongle. Use an Ethernet adapter. Okay, so we just covered this in the previous section of Chromecast tips, but it's worth mentioning here as well because using a wired connection isn't just for troubleshooting problems – it's also a great move to make proactively in order to ensure great streaming quality at all times. Game on. Chromecast isn't just for watching video – it's also great for gaming! Check out our list of the best Chromecast games for some suggestions. Show off your photos. Google Photos is (of course) fully integrated with Chromecast, so you can use your Chromecast as a modern-day slide reel and force your friends to look at photos of your vacations. Or, if you're looking for a more crowd-pleasing use, you can put photos on a slide show in the background of a house party or big event, transforming your TV from a living room eyesore into a tasteful and personalized part of the decor. Enable private listening. The private listening feature on Roku's high-end Roku Ultra is a bit selling point, but it's a feature that you can replicate pretty well with the far cheaper Chromecast. You'll just need the LocalCast app (Android only) to do it. Once done, you can watch your favorite content with the volume blasting on your headphones while the rest of your household remains blissfully undisturbed. Cast tabs and screens – and do more with them. Chromecast can cast tabs from Chrome and screens from Android devices. That's great for sharing information that isn't in video form, but it also opens up a world of other fun possibilities. Mobile games can become big-screen ones, video players that aren't supported by Chromecast can be forced up onto it through a browser window, and you can view local video files on Chromecast because the Chrome browser can play local files.